This blog post describes the exploitation of Xen Security Advisory 148 (XSA-148)  (CVE-2015-7835). It has been discovered by Shangcong Luan of Alibaba and publicly disclosed in October 2015. At the time, we were working on writing an exploit and no public proof of concept nor exploit were available. Today, the security researcher responsible of the vulnerability disclosure has given a public talk  and will give conferences explaining his approach . We decided to publish this blogpost anyway because our exploitation strategy is a little bit different. In order to understand everything, you probably need to know some basics about x86 memory architecture, however we tried to be as clear as possible. We first explain the vulnerability in details and present a full working exploit allowing a guest to execute arbitrary code in the dom0's context. They are talking about level 2 page table, super page, paravirtualized guest and Xen invariants. We have to understand these notions. As stated in the advisory, only x86 guests are concerned. This paragraph describes the Memory Management Unit (MMU) of this architecture. The aim of the MMU is to translate virtual addresses (also named linear addresses) into physical addresses. This is done by using the well known segmentation and paging mechanisms. 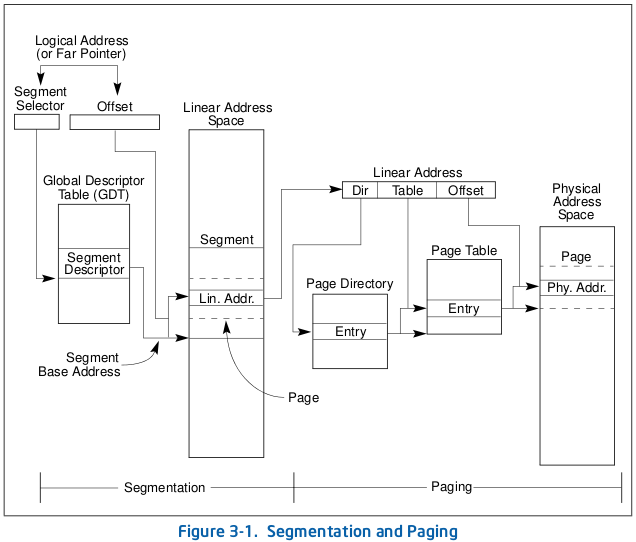 While segmentation has already been described in the last post about the XSA-105 , paging is a little bit more complex and occurs right after the segmentation process. 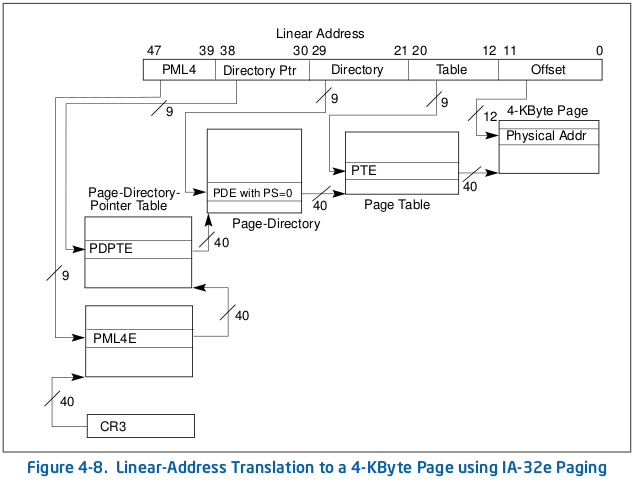 There are three paging modes, which mainly differ in the sizes of the linear addresses that can be translated, the size of the physical address and the page size. We are going to talk only about the IA-32e mode, which is only available in Intel 64 architecture. Basically, paging has a base table physical address in the CR3 register, the CPU takes some bits in the linear address to be converted which determines an entry in the current table and this entry gives the base physical address of the next table. We've tried to be consistent in the used terminology, however the three terminology can still be written within this blogpost. The advisory is talking about something called super page. 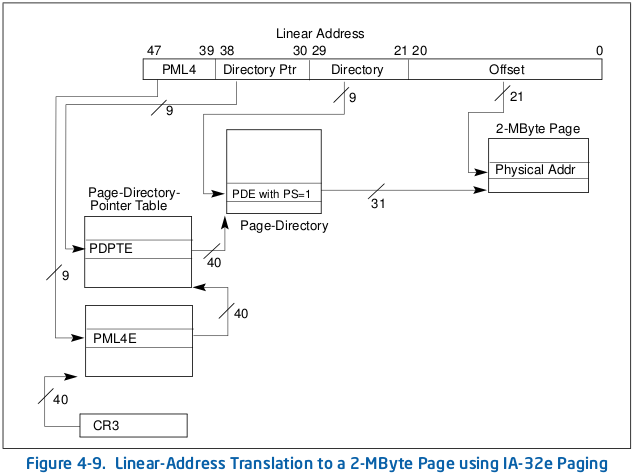 As said before, the paging allows to map pages of different sizes, thereby IA-32e allows you to map 1GB pages, 2MB pages or 4kbyte pages. 2MB pages are often called super page. The difference resides in L2 entries, instead of referring to a L1, it directly refers to a 2MB page. This is done by setting the PSE flag inside the L2 entry (this flag is named PS within Intel documentation). Each time an HYPERVISOR_mmu_update is performed, Xen checks for invariants such as: "a page already referenced as a L4/L3/L2/L1 must not be mapped by another virtual address as writable". All these invariants must be maintained in order to be sure that the guest cannot subvert the system. With the information above, the advisory is easier to understand. It seems possible to create a writable page table and then, thanks to the direct paging, to map any machine page in the guest's virtual memory with read and write rights... damn. access to any physical page you want :). The QubesOS' advisory also have a great explanation of the vulnerability . I believe you get the gist, but there is still a little problem: when the PSE flag is set inside a L2 entry, some reserved bits of the L1 address are set while they should stay cleared. So one needs to find a usable machine frame number with the reserved bits set to 0. Thanks to the Linux allocator, this can be done using the __get_free_pages function by asking 2MB of contiguous memory. An amount of 2MB of memory are mapped when the PSE flag is set, so we have to reserve 2MB of virtual memory because we do not want that anybody interfere with those virtual addresses. Well, we can read and write any machine page. The difficulty is to find something interesting. The dom0's page directory is a good target, this should allow us to resolve any virtual address of dom0 to the corresponding machine page and then write in process memory in order to execute some arbitrary code, or find an interesting page mapped within every process (like vDSO ;)). *    Guest-defined use (see below for compatibility mode guests). *    Inaccessible: current arch only supports 48-bit sign-extended VAs. *    Read-only machine-to-phys translation table (GUEST ACCESSIBLE). *    Reserved for future shared info with the guest OS (GUEST ACCESSIBLE). *    Guest linear page table. *    Shadow linear page table. *    Per-domain mappings (e.g., GDT, LDT). *    Compatibility machine-to-phys translation table. *    High read-only compatibility machine-to-phys translation table. *    Xen text, static data, bss. *    Reserved for future use. *    1:1 direct mapping of all physical memory. *    Hypercall argument translation area. Having a potential page directory is not enough, we would like to be sure that this is the dom0's page directory. Given a start_info structure, you only have to check if the flag SIF_INITDOMAIN is set to know if it belongs to the dom0. A recorded demonstration is available here: asciinema, and the full exploit can be downloaded here: xsa148_exploit.tar.gz. This vulnerability is probably the worst ever seen affecting Xen and it was introduced 7 years before its discovery. As demonstrated in this blogpost, it is exploitable and a code execution within dom0 is not so difficult. There is probably other possibilities than patching the vDSO page, for example Shangcong Luan has decided to target the hypercall page . Originally this second part should have been the last one... but we recently found a new vulnerability allowing a guest-to-host escape. The related advisory has been publicly disclosed yesterday (XSA-182 , CVE-2016-6258 ), and a future blogpost will describe how we managed to write a full working exploit. Stay tuned!